Students will create pattern paper from cereal boxes and greeting cards they recycled. 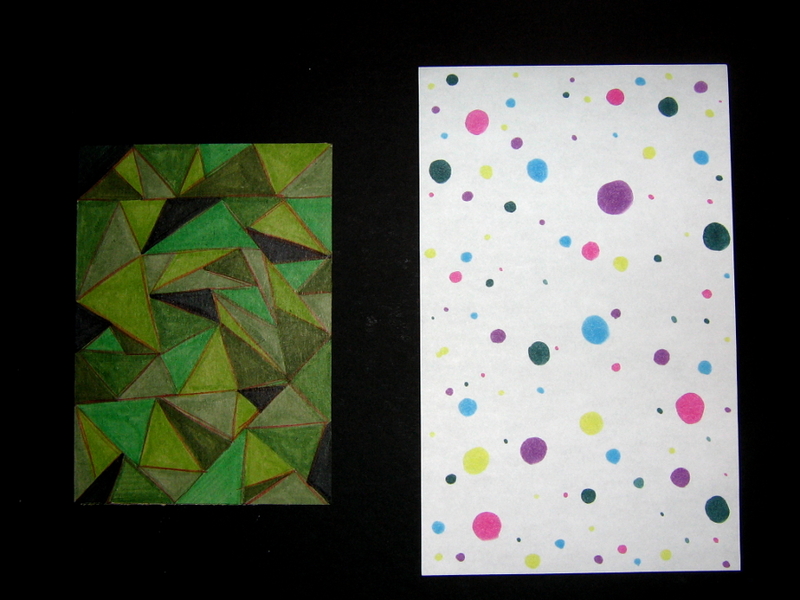 Paper will be used for future arts and crafts projects. 1. SWBAT collect paper from cereal boxes and old greeting cards. 2. SWBAT create pattern paper out of the recycled material. 3. SWBAT use pattern paper for a variety of projects. 4. SWBAT trade pattern paper with other classrooms. 4a. Once completed collect all the pattern paper from the students to be stored away for future projects. 4b. Trade pattern paper with other classes. 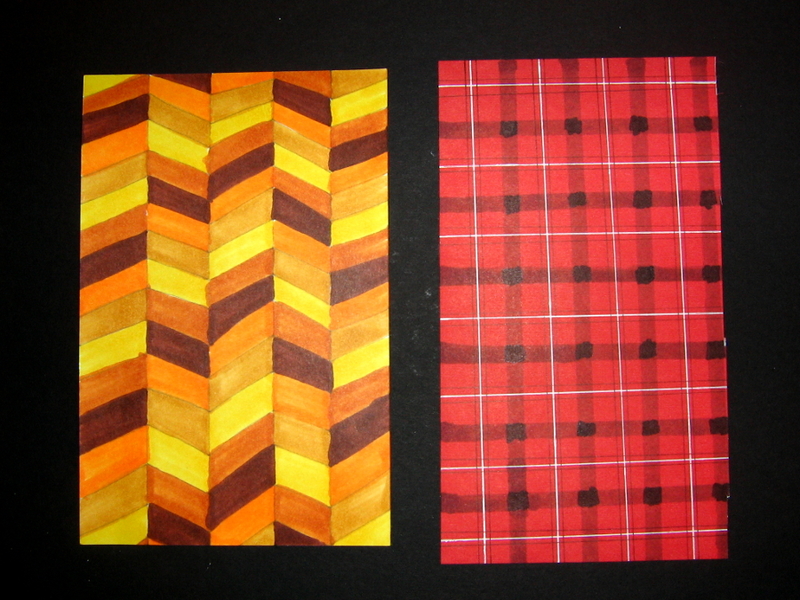 Use pattern paper for arts and crafts projects for school. Another idea is to trade paper with other classrooms. 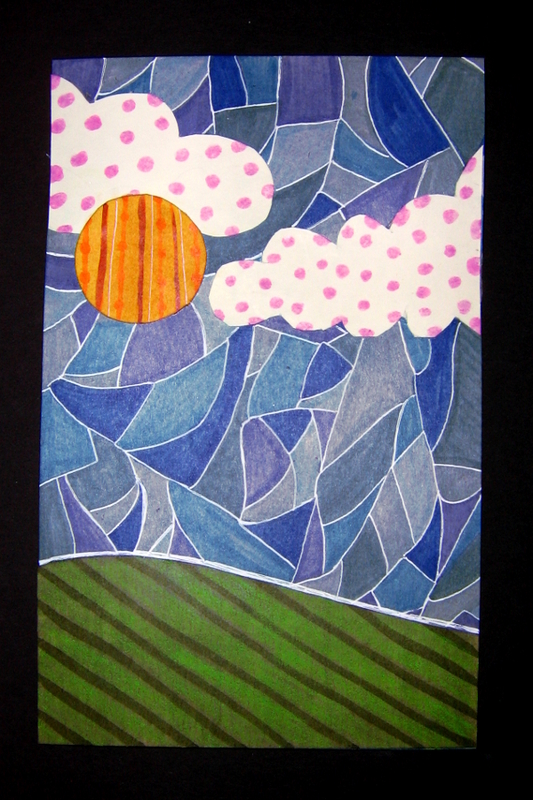 The 3rd image up above is a sunny day scene made from recycled greeting cards.